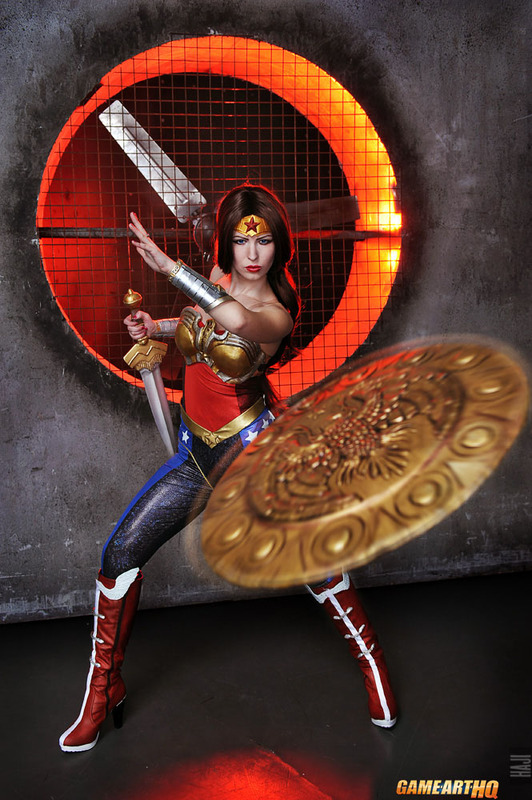 Wonder Woman Injustice: Gods Among Us Cosplay! Injustice: Gods Among You, the first well done fighting game with DC Comics Heroes and Villains was just released last week, so i thought it is the right time to feature this awesome cosplay art related to Wonder Woman in her Injustice design. Nemu013 from Russia cosplayed Jade and Kitana from Mortal Kombat before but her Wonder Woman cosplay looks just even more professional thanks to the fitting background and the additional effects with her shield. I recommend it strongly to visit her cosplay gallery on dA as well!